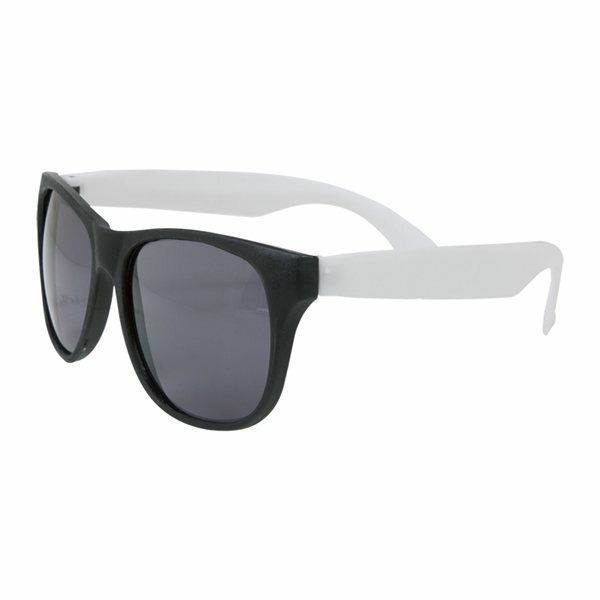 The Two Tone Matte Sunglasses from AnyPromo are promotional sunglasses with black lenses and colored frames. 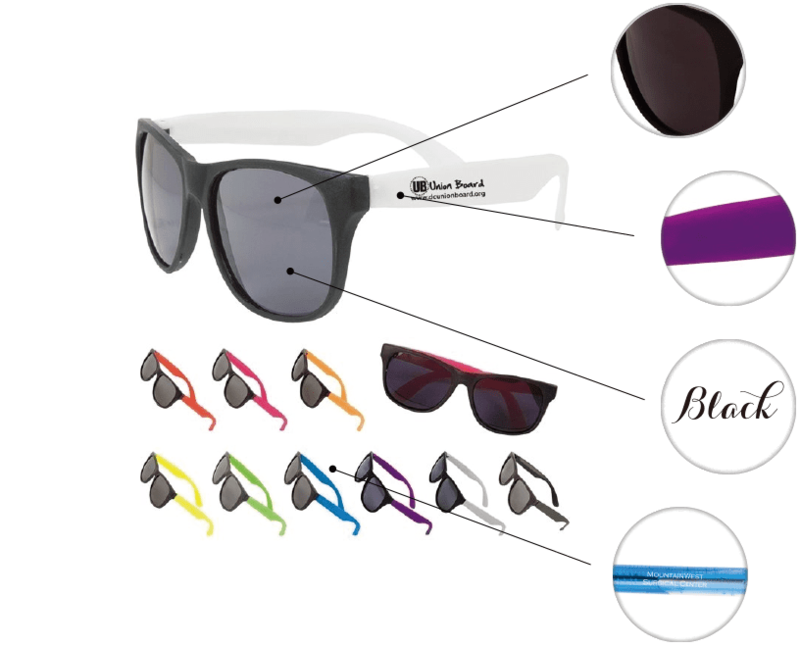 These custom sunglasses are rated UV400 and offer 100% ultraviolet protection. Available in a selection of 10 different colors with Pad Printing on an imprint area of 1.75" x 0.25" on either side. 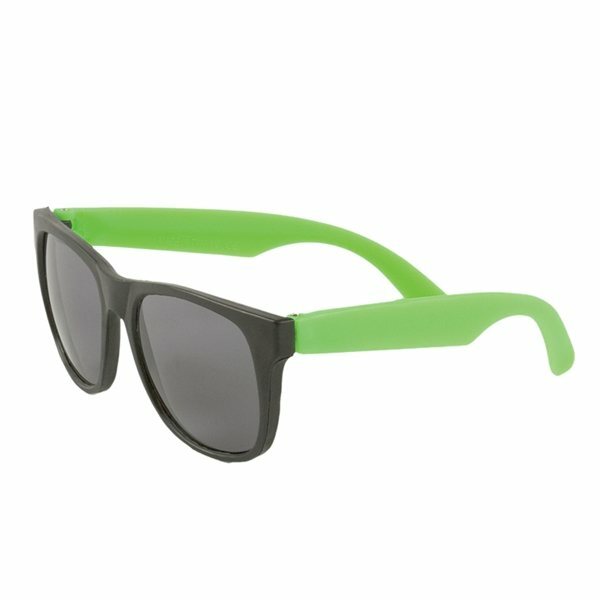 These Two Tone Custom Matte Sunglasses are a customer-voted "Top 100" item because they offer stylish branding at a great value. The variety of available frame colors can be combined with an imprint that represents your brand identity. 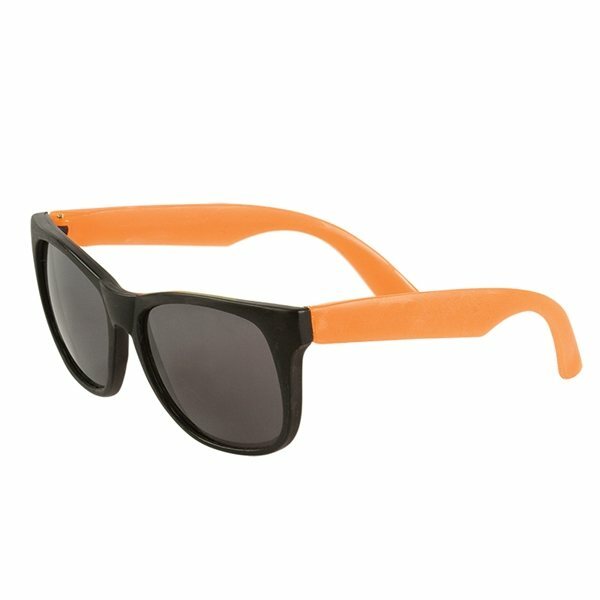 No matter what your brand color is, everyone looks good in these Wayfarer inspired shades. 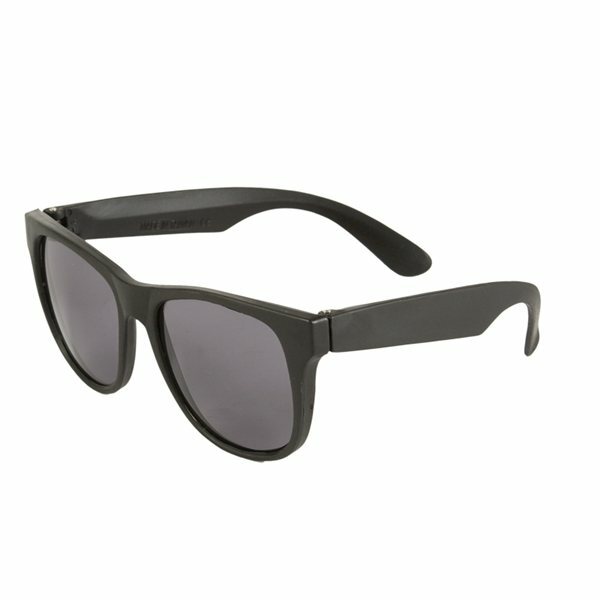 Black plastic frames with tinted lenses. Available in 10 colors for easy branding! 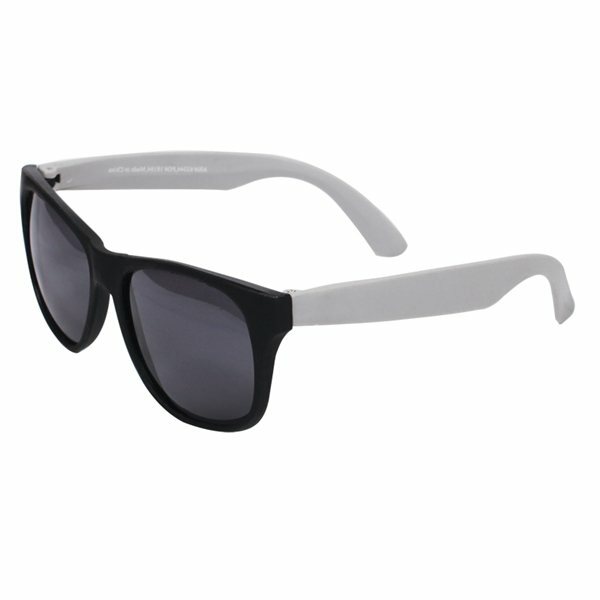 These sunglasses feature genuine UV400 rated lenses that offer 100% protection from UV (ultraviolet) rays. 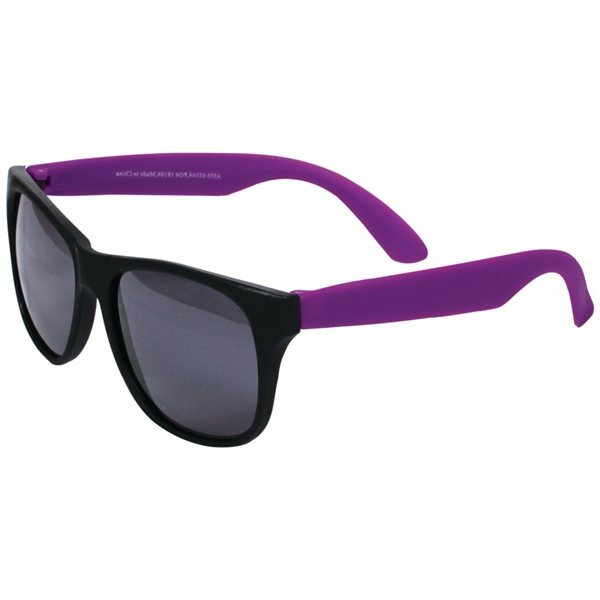 If you're hosting or promoting at a bright outdoor event, you can gain a lot of interest by giving away promotional sunglasses. 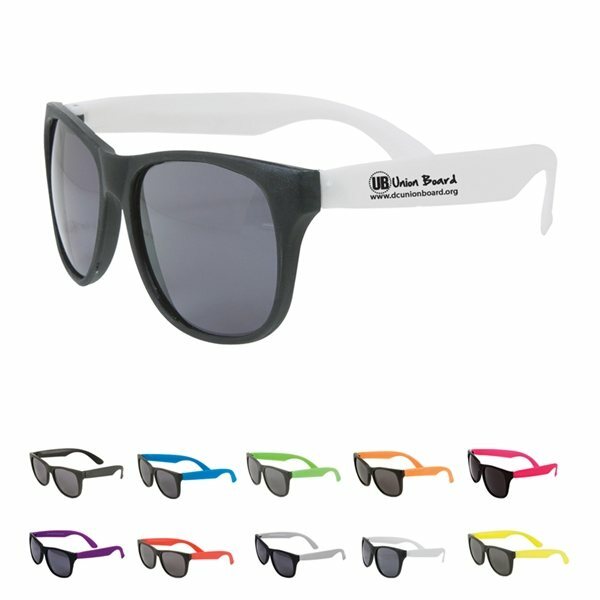 These sunglasses are highly customizable with 10 frame colors and 21 imprint colors available to promote your brand. Need promotional sunglasses in a hurry? AnyPromo has got you covered with free 1-day rush production with 1-color, 1-location Pad Printing. 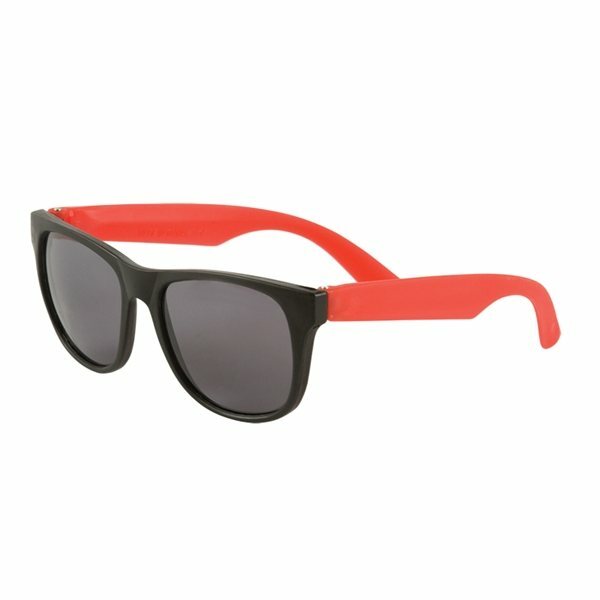 nice glasses, good price, logo really small. the glasses are great for the price but the logo on the side is so small that it is bearly recognizable from three inches away! Great experience buying from AnyPromo. 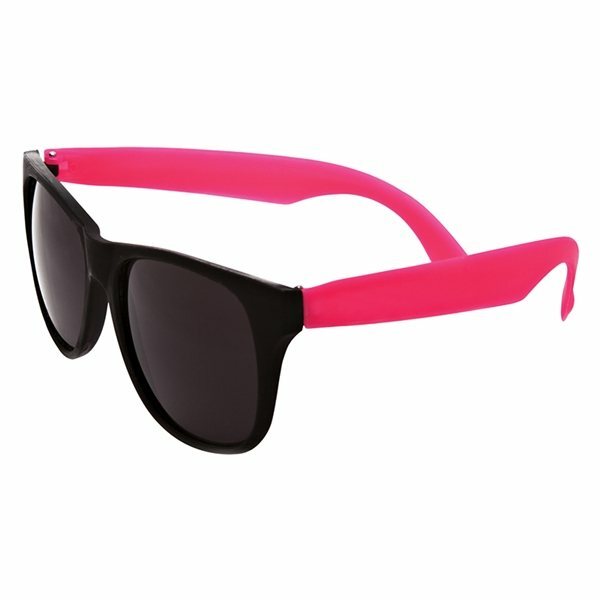 We needed these sunglasses made in a Rush and they handle the order to perfection. Must recommended! Not as sturdy as I expected. Very thin plastic. Thought they would be a little thicker and sturdy. Hope they don't break on kids before they get to use them at least one time.